With all of the snow we’ve been getting, it has been driving everyone a little stir crazy. 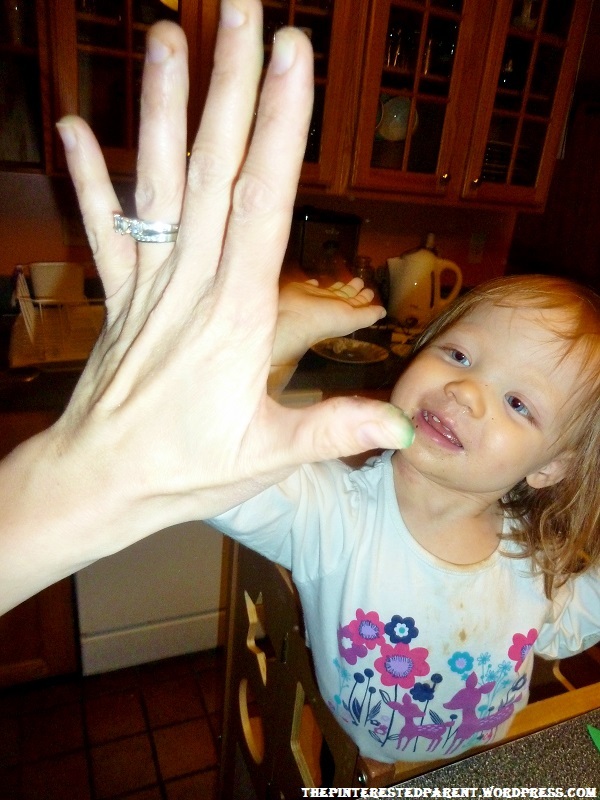 Mommy has been racking her brain for fun activities to do with the munchkin while we are snowbound. Mai flipped over one of her bowls the other day & told me that it was a turtle shell. She inspired this evenings crafts with her clever observation. 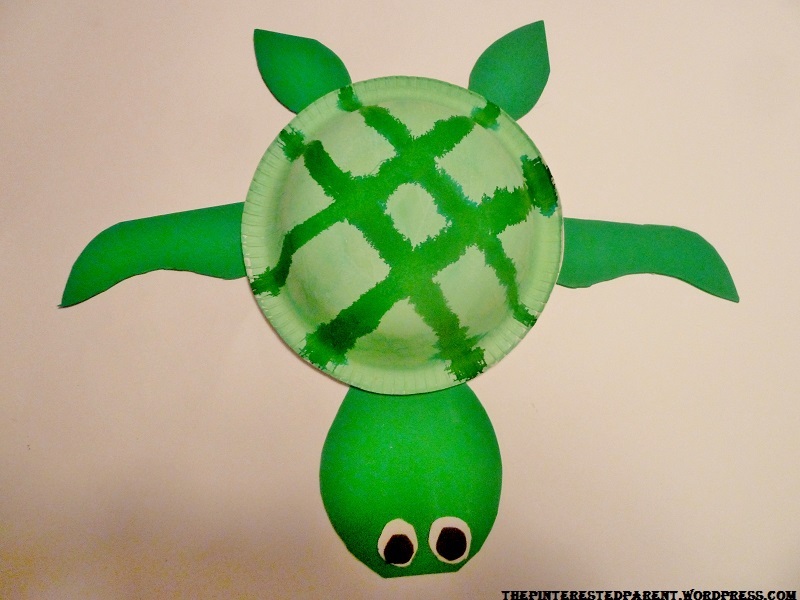 We are always painting & crafting with paper plates, but what about paper bowls for a little more dimension? 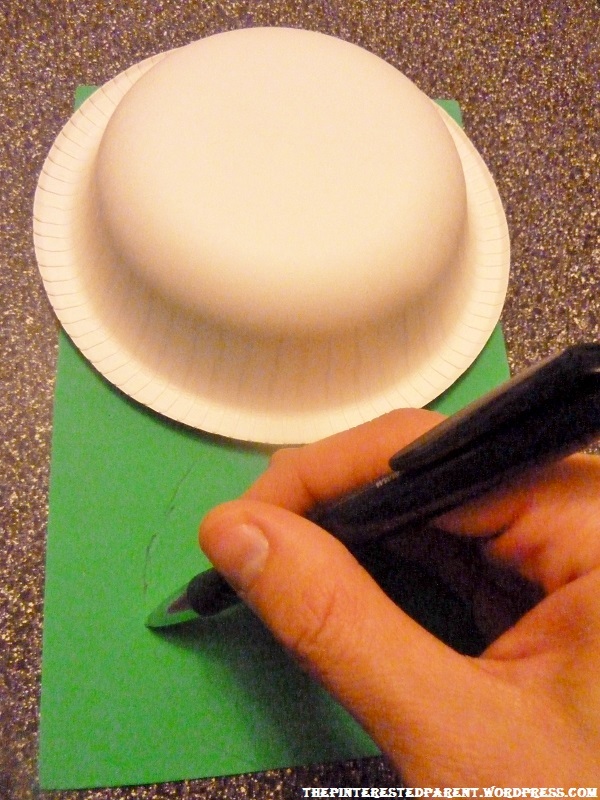 Lay your bowl on top of your paper/foam board draw out your head,eyes & your arms to a desired size. 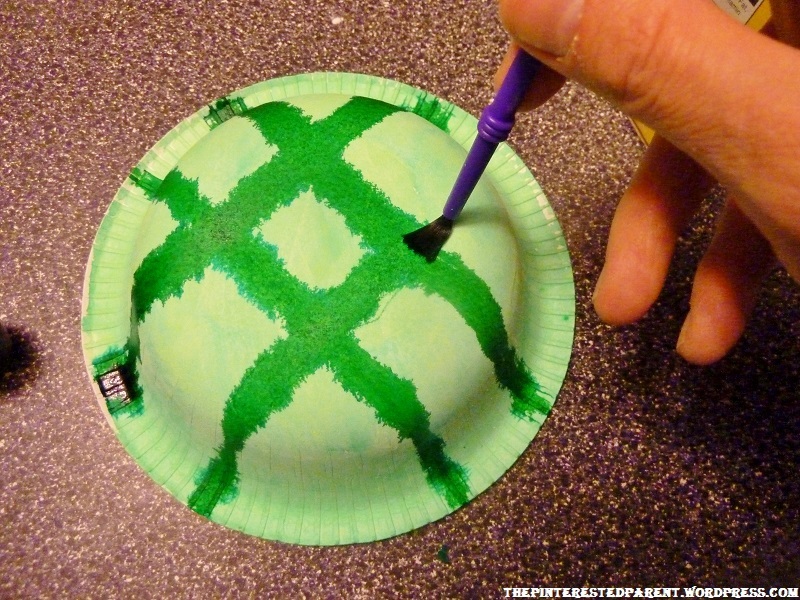 Draw lines in a darker shade of green over the top to give it a look of a turtle shell. Mai painted her own too. 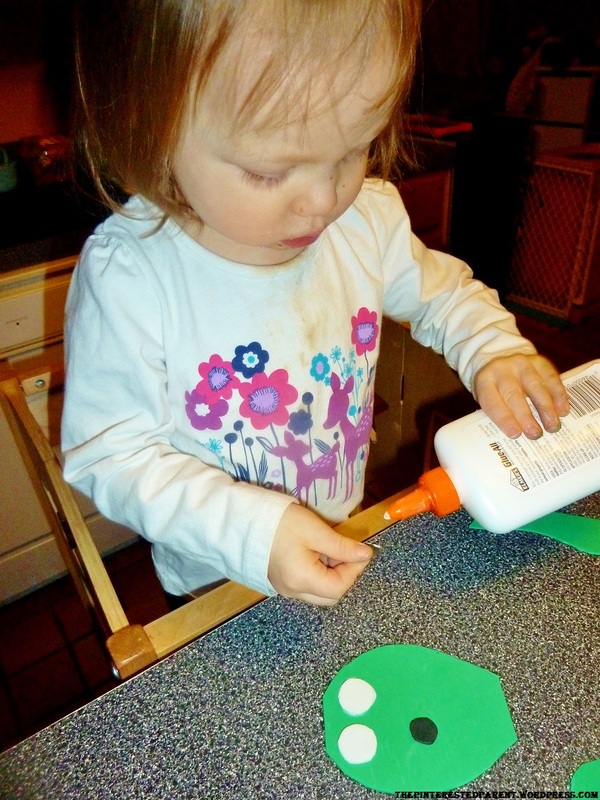 Glue your pieces together & watch your little one cheer with excitement at her masterpiece. Let dry well before moving. 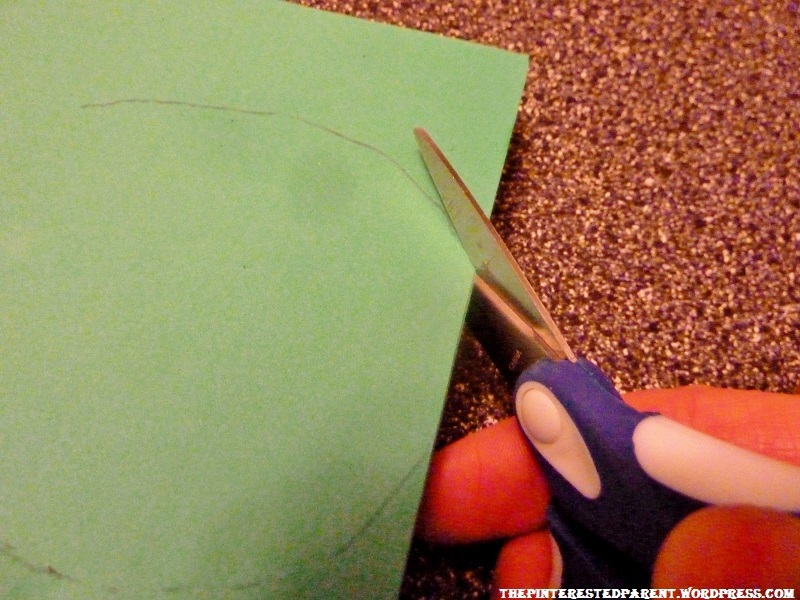 Use pressure if needed to hold pieces in place while drying. 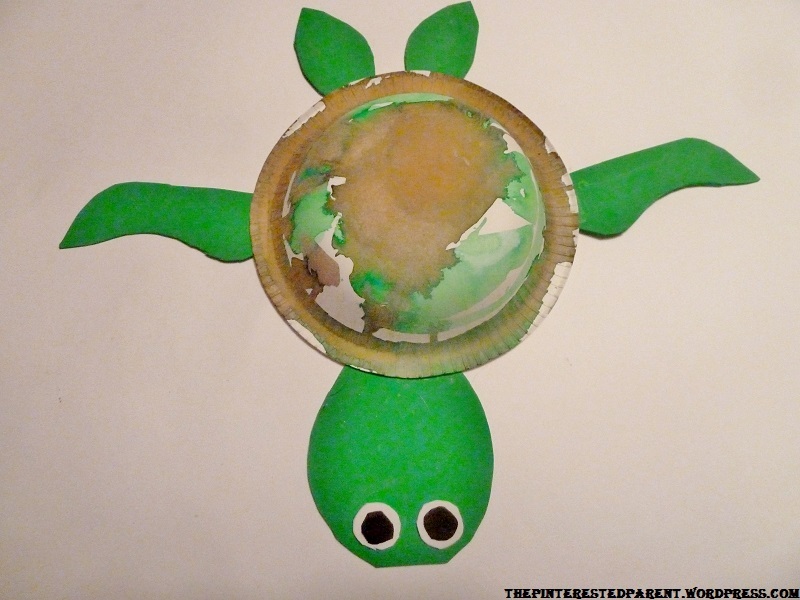 We had so much fun making our turtle, here are some other animal crafts we came up with. High fives for crafts well done. Thanks Janine. 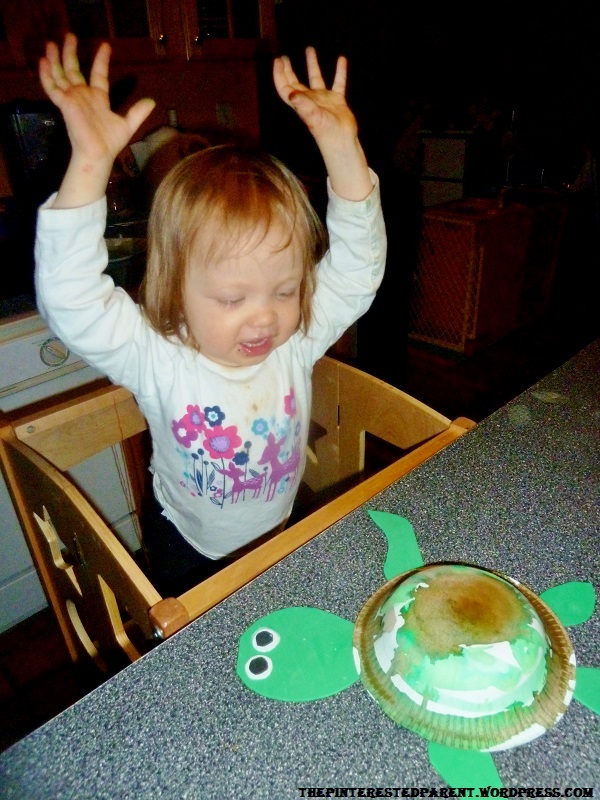 She was super proud of that turtle. She was clapping and jumping up and down. 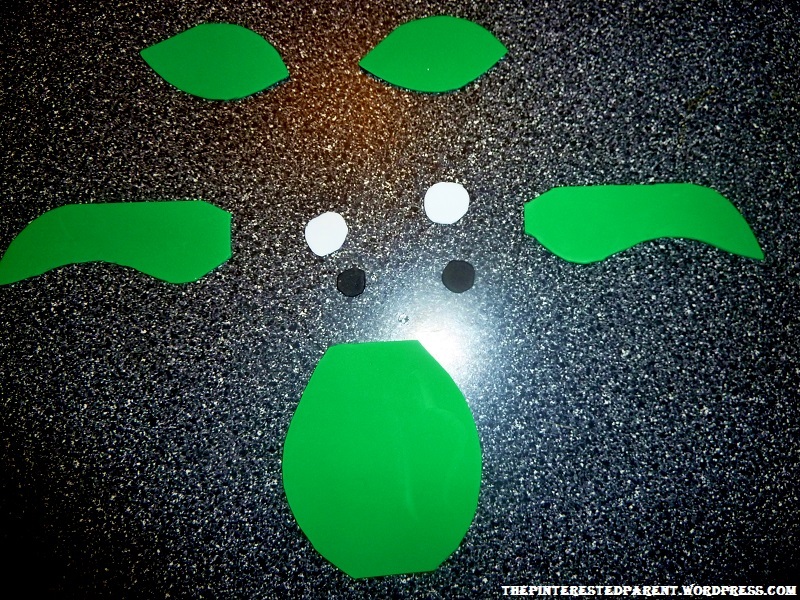 She made a turtle, bear & half of a sheep before she pooped out. These turned out great! 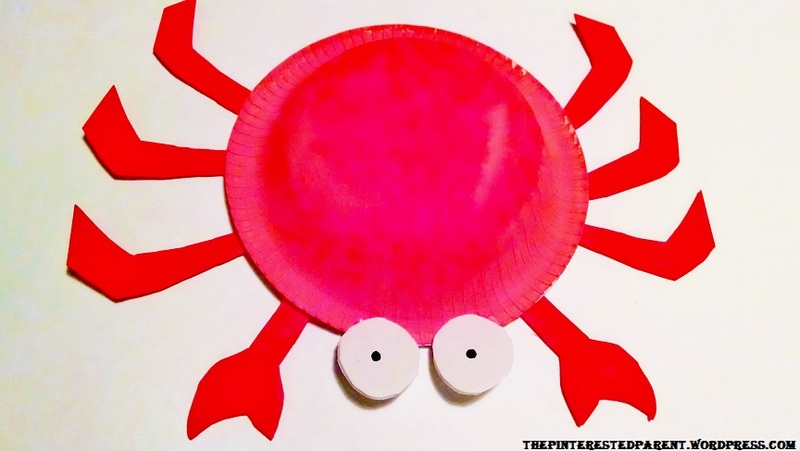 I remember doing something similar to the crab when I worked as a preschool teacher but I think we may have used paper plates. I love the idea of using a bowl because it gives it that 3D effect! I actually have bowls like those in my pantry! The crab bowl is way too cute!! 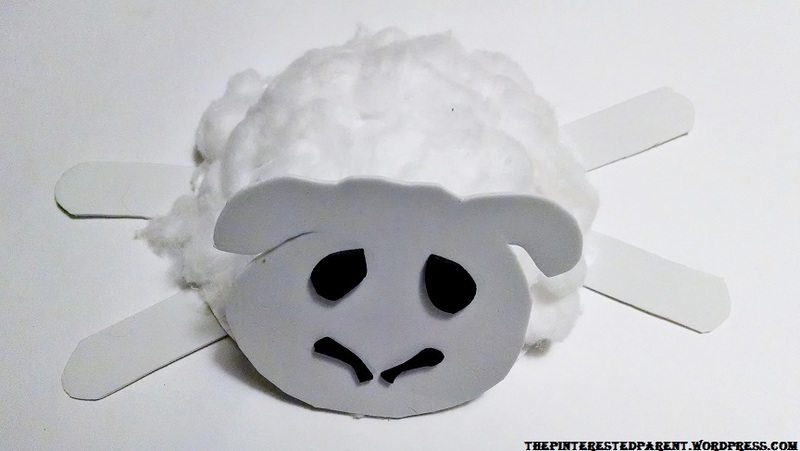 The sheep is just too cute. But my favorite is her expression when she finished. Priceless. She was very proud of herself. I was proud too. Unbelievably adorable. I will have to make these with my kids!! Love the animals, will use your ideas on my classes, thank you for sharing! This reminds me of my kindergarten/first grade teaching days! Of course that was 15 years ago and now art has become a preschool/home thing. My poor second grader does little to no art in school anymore it’s all paper/pencil. 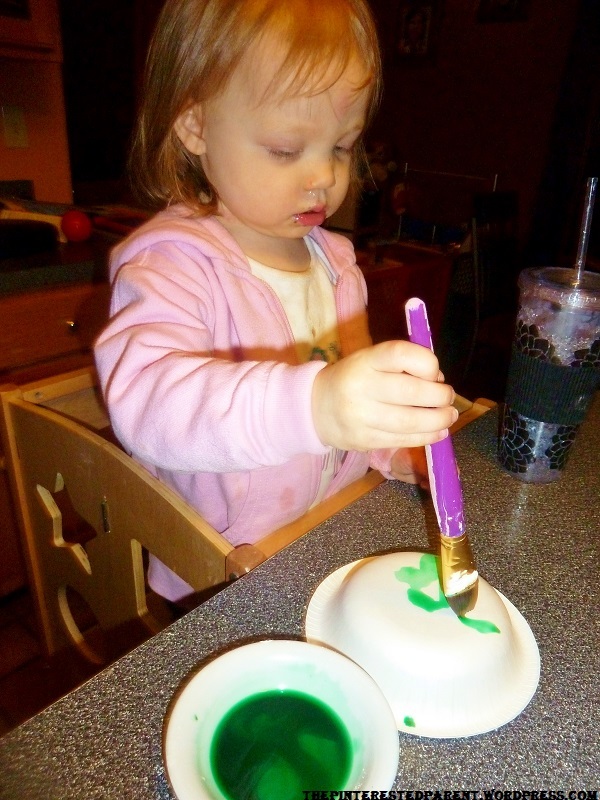 Great at home activity for her though, thanks for the ideas, so cute! These are adorable! So many possibilities. 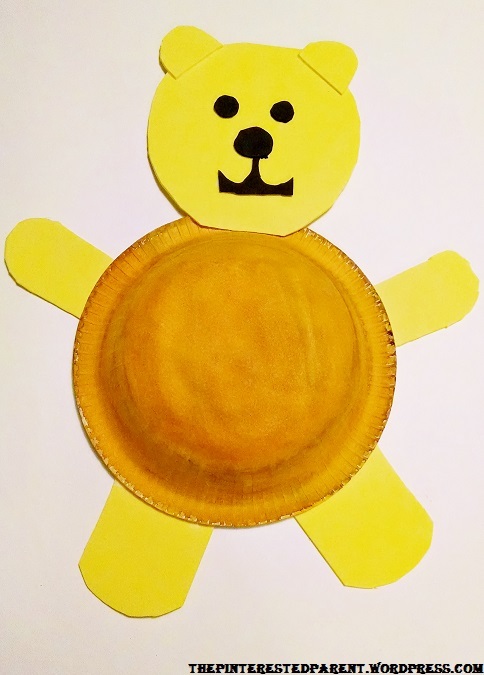 Love that your daughter inspired such creativity! Those look really neat. 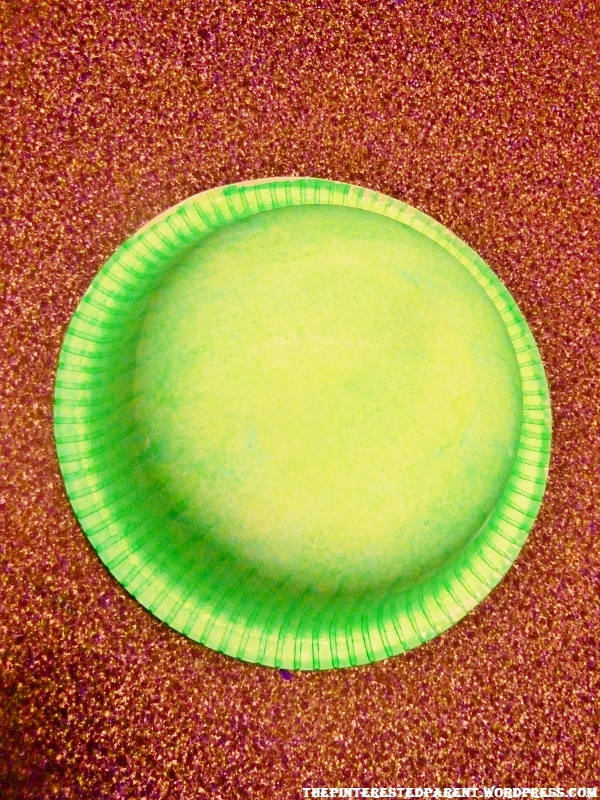 I’m pinning them and will try to remember to grap paper bowls sometime soon. We’re starting to get cabin fever here too, being cooped up as much as we are.